As you advance in age, Vitamin B deficiency may lead to premature graying of hairyour hair tends to lose its natural color with advancing age and turn grey, but premature graying of hair is an abnormal condition that can make you look older. Glands in your scalp secrete sebum, an oily substance that is responsible for nutrition, luster and blackness of your hair. an unhealthy diet and stress. Mental stress produces excessive tension in skin of your scalp which interferes with the important nutrition supply to your hair. It has been observed that consuming sesame (til) seeds daily can help with this condition as also applying its oil regularly. Regular use of this remedy can help in natural gray hair treatment. Apply mashed leaves of guava (amrud) regularly on scalp and hair prior to a bath for tackling your grey hair problem. Prepare onion paste and apply on your scalp just before taking a bath. This home remedy for gray hair may help turn your hair black, gradually. Continue until you see positive results in your condition of premature graying of hair. A simple natural gray hair remedy is to apply plain butter or fenugreek powder mixed with butter on your scalp an hour before you take a cold water bath. Mash bael or curry leaves and apply a couple of hours before bathing. Such remedies for gray hair applied regularly can aid in improving gray hair problem. Consume some fenugreek (methi) sprouts daily or apply paste of fenugreek on your scalp one hour prior to bathing once in a week. This is effective among home remedies for gray hair that can help you overcome problem of gray hair. A regular cow milk ghee massaging on your scalp can also help you to overcome grey hair concerns. Another among gray hair home remedies is mixture of lemon juice with gooseberry (amla) powder. 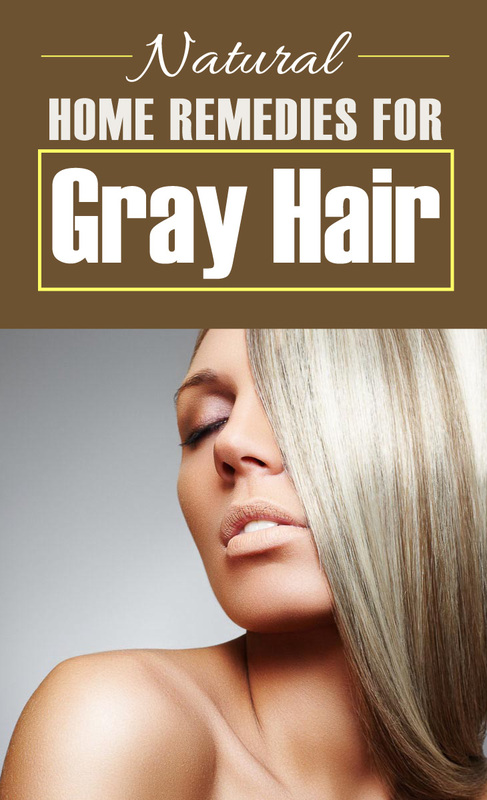 It helps in preventing and treating premature gray hair. Apply this mixture on your scalp for a period until your see its benefits. You can also take vitamin B complex supplements to overcome its deficiency, considered to help in controlling premature gray hair growth.